Among the world's premier counter-tenors, Drew Minter began his musical pursuits at the age of 9 as a boy treble at the Washington National Cathedral. He studied first at Indiana University, where he received his B.S. in Music and Languages in 1977, then at the Vienna Musikhochschule where he received his Diploma in Lieder and Oratorio in 1979. Twice he won prizes at the Bruges Early Music Competition, in 1977 as a member of the Collegium Musicum Budapest, and again in 1983 as a soloist. He also won prizes at the 's-Hertogenbosch International Singing Competition in 1976 and the 1981 Erwin Bodky Prize for Early Music in Boston. Subsequently, he was also awarded Martha Baird Rockefeller and Fulbright study grants. Drew Minter is a founding member of The Newberry Consort, which is in its 18th season. In addition to a number of acclaimed recordings on Harmonia Mundi USA, the Consort gives a regular season of concerts in the Chicago area and tours once or twice a season nationally. He collaborates frequently with the Folger Consort, ARTEK, Pomerium and other American early music ensembles. For several seasons in the early 1990s he directed and sang in Ensemble Five/One, a Washington-based vocal chamber music group. With Five/One he created programs and season brochures and designed a series of concerts in historic churches. Represented by over 40 recordings of opera, oratorio, recital and chamber music, Mr. Minter has also appeared in two films: Peter Sellars's Giulio Cesare (as Tolomeo) on London/EMI, and a biography of the life of Hildegard von Bingen, In the Symphony of the World (as the Devil) by Flare Productions. His oratorio and recital engagements with orchestras and oratorio societies in America and Europe are too numerous to list. In recent seasons Minter has broadened his activities to include playing early harps. 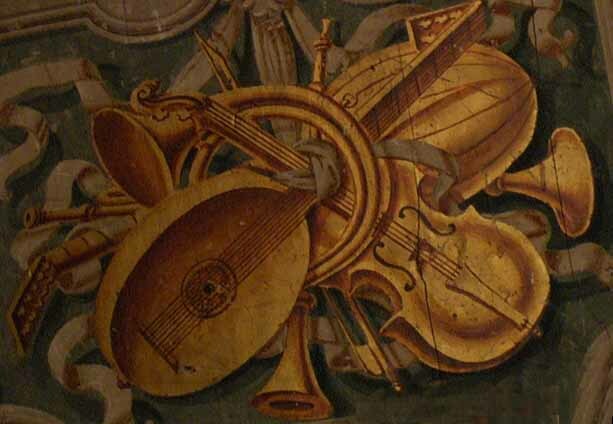 Lately he founded Trefoil, a trio of early music specialists who both sing and play on plucked strings the virtuoso French ars subtilior repertoire of the late 14th century. He is also a founding member of My Lord Chamberlain's Consort, a renaissance vocal and plucked-string band, with whom he sings and plays early harps. His recital, "Sweet Sorrow: Medieval Songs of Parting," is a virtuosic self-accompanied journey of songs of the troubadours and minnesingers. In addition, he has written a number of scholarly articles and reviews for music publications such as Opera News. 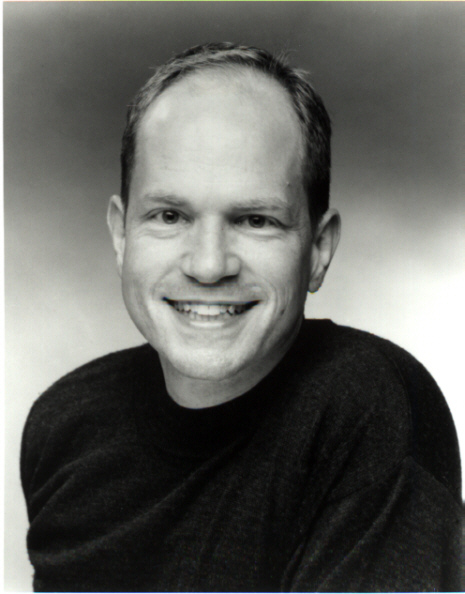 Since 1994 Drew Minter has directed over twenty productions of opera and musical theatre. Known for his performances and recordings of the music of Händel, Mr. Minter has done more than two dozen of Händel's dramatic works on the stage as either singer or director, and sometimes as both. His knowledge of baroque stage practice, in particular the acting methods of the 18th century, is extensive. In recent years he has taught masterclasses in both the musical and dramatic interpretation of baroque opera, (as well as later opera), especially the physical gestures and ornamentation which were a working part of every baroque singer's arsenal. Regarded as one of the world's finest countertenors, Drew Minter grew up as a boy treble in the Washington Cathedral Choir of Men and Boys. He continued his education with a B.S. in Music and Languages from Indiana University and a Diploma in Lieder and Oratario from the Academy of Music in Vienna. Minter has appeared in leading roles with the opera companies of Brussels, Toulouse, Boston, Washington, Santa Fe, Wolf Trap, Glimmerglass, and Nice, among others. A recognized specialist in the works of Handel, he performed frequently at the Handel festivals of G ttingen, Halle, Karlsruhe, Maryland. He has sung with many of the world's leading baroque orchestras, including Les Arts Florissants, the Handel and Haydn Society, Philharmonia Baroque Orchestra, Freiburger Barockorchester, and as a guest at festivals such as Tanglewood, Regensburg, BAM's Next Wave, Edinburgh, Spoleto, and Boston Early Music; other orchestra credits include the Philadelphia Orchestra, the San Francisco Orchestra and the St. Paul Chamber Orchestra. Mr. Minter is a founding member of the Newberry Consort and sings and plays early harps regularly with My Lord Chamberlain's Consort, ARTEK, and the Folger Consort. His group TREFOIL performs music of the 14th century from original notation. Mr. Minter has made over 50 recordings on Harmonia Mundi, Decca/London, Newport Classics, Hungaroton and others. He appears in two films: as Tolomeo in Peter Sellars's "Giulio Cesare," and as the Devil in "In the Symphony of the World; a Portrait of Hildegard of Bingen." He writes regularly for Opera News.Drew Minter is also a lauded stage director. He began as director of the operas at the G ttingen H ndel Festival for five years, directing period baroque productions. Since then he has directed productions in many styles for the Op ra de Marseilles, Caramoor, the Boston Early Music Festival, Lake George Opera, the Orchestra of St. Luke's, Boston's Opera Aperta, Monadnock Music, the Manhattan School of Music, Mannes School of Music, Boston University's Opera Institute, Amherst Early Music, the Folger Shakespeare Theatre, the Five Colleges in Northampton, and Cleveland's Apollo's Fire. In addition to numerous workshops in the vocal and dramatic performance of baroque music, Mr. Minter teaches voice at Vassar College, where he also directs the Vassar Opera Workshop and conducts the Vassar Madrigal Singers. He has taught frequently at the Amherst Early Music Institute. Elizabethan love lyrics by Dowland, Campion, Johnson, and Ferrabosco, with Pat O'Brien, lute. An Autumn Program of Medieval Songs [The Songs of Tristan (Anon, 13th C), Bel m'es quan son li fruich madur (Marcabru), Deiosta.ls breus iorns e.ls loncs sers (Peire d'Alvernhe), Der Wald hat sich entlaubet (pseudo-Neidhart), and an Excerpt from Titurel fragments (Wolfram von Escehnbach)]. Performed solely by Mr. Minter, accompanying himself on the harp. "Sweet Sorrow: Songs of parting from the Middle Ages"
Songs of Tristan and Isolde (French), Songs by Oswald von Wolkenstein and Wolfram von Eschenbach, and the Cantigas de Amigo of Martin Codax: Performed solely by Mr. Minter, accompanying himself on the harp. "Titurel: A Medieval Saga of Thwarted Love"
A subsaga from the Parzifal legend by Wolfram von Eschenbach in which Mr. Minter, assisted by David Douglass on vielle, sings and speaks five characters. David Shengold :Countertenors have gone global on recordings and in mainstream opera houses. How has the scene changed? Drew Minter : Well, for one thing, they've gotten better. I always believe supply follows demand. Research made it clear around the mid-20th century that early music was interesting; then the recording industry fueled its explosion. We know that countertenors sang much early music (though, it must be admitted, rarely in opera after 1700, unless they were castrated!). More countertenors working was simply an outgrowth of all that. When I got my undergrad degree at Indiana, a lot of faculty didn't know what to do with me; others were excited at the possibilities. Now, it's really not unusual for a countertenor to be studying voice along with everyone else in music schools (I just graduated one at Vassar, and we are hardly a music conservatory). With extraordinary talents like David Daniels and Bejun Mehta out there showing that they can play ball with the big guys, the possibilities for countertenors just continue to increase..